The “Danger Party”, which I believe was hosted by “3rd Ward” in Brooklyn. It is a pretty awesome artist community/studio off of Morgan Avenue in Brooklyn, NY. 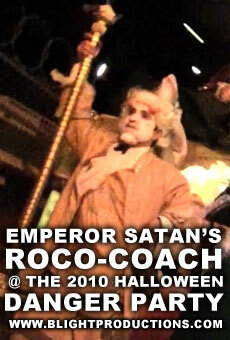 Way back in October 2010, the promoters of the “Danger Party” asked my friends Zery Boy and Gaylen Hamilton to bring the wonderful Emperor Satan’s Roco-Coach to their party. The “Danger Party” consisted of about 4 large warehouse venues in the East Williamsburg area of Brooklyn. They tasked the coach to traverse between each venue escorting party goers and encouraging more people to flow from building to building. This event happened the Saturday night just before Halloween. 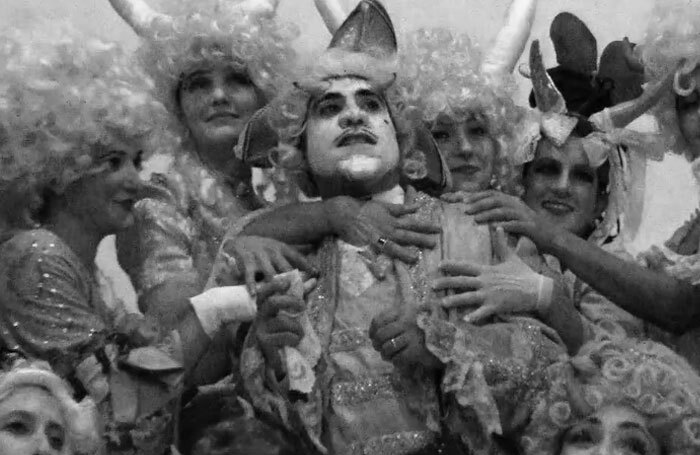 The video below documents the action.